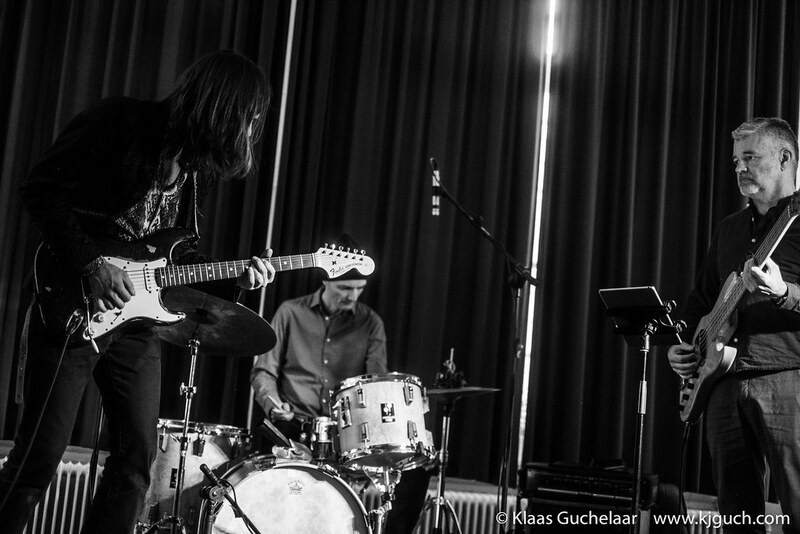 Jerome is a fantastic guitarist who’s playing with some great Jazz artists like Billy Cobham, Dr. Lonnie Smith and Michiel Borstlap and is the main guitarist in the band of dutch Jazz legend Hans Dulfer. And as soon as the concert starts it’s obvious why. Jerome is a whirlwind on guitar and weather it’s a slow song or if he’s rocking with fingers flying over the strings, it’s just amazing to hear. Jerome is helped but a great duo. 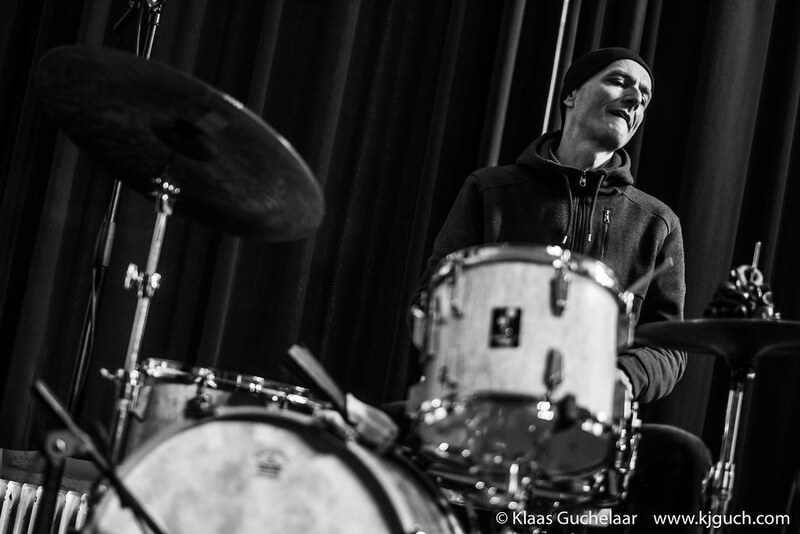 Erik Kooger on drums and Boudewijn Lucas on bass. Good combo that had a great rhythm and drive to push Jerome onwards. 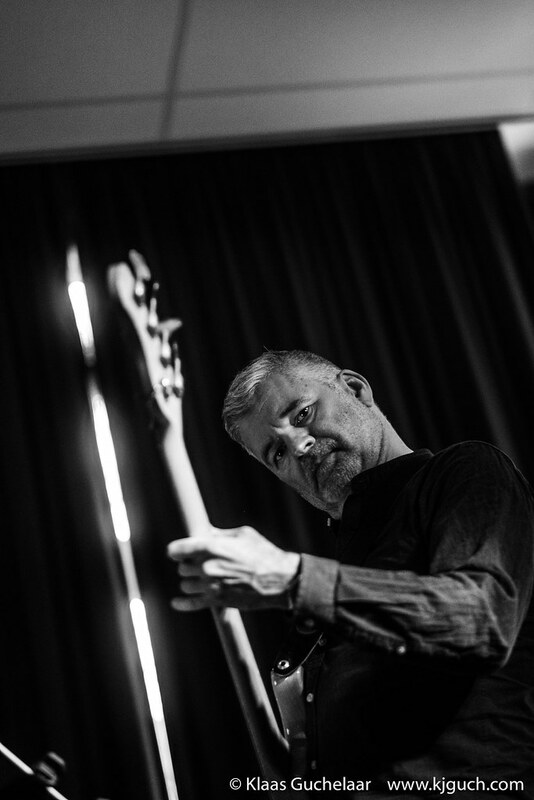 Lots of funk, fusion, blues and with hints of metal (in the style of guitar-playing then, not nearly as loud as a regular metal gig… nor the weird make-up ;) ). I loved it, absolutely loved the gig. Really a big shame that the series at the Poortershoes is almost over already. 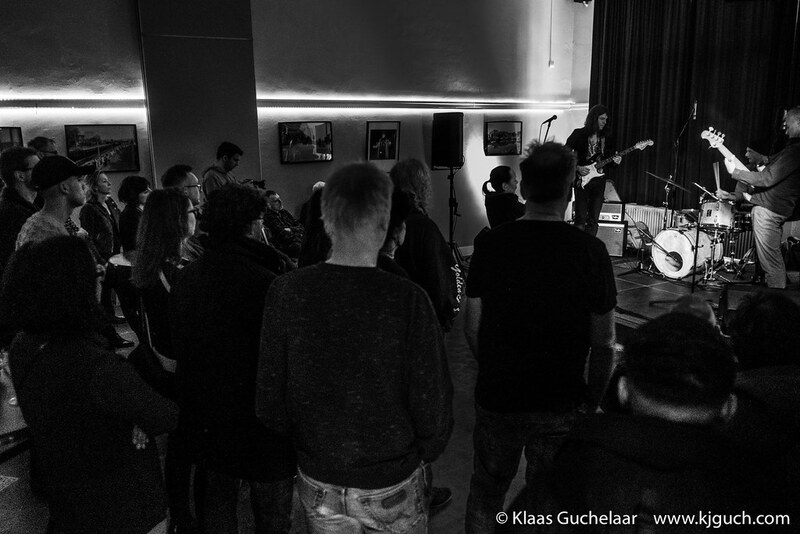 There’s one more on March 3 with the Rob Hoeke Band and I really hope the organisation is as enthusiastic as the visitors are and that there will be another series. 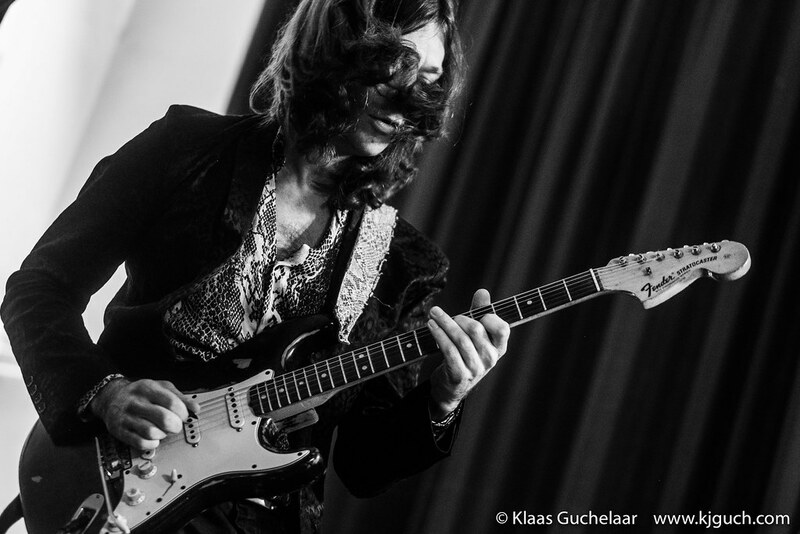 For now we can remember the fantastic Jerome Hol gig and look forward to one more blues gig. Thanks to Bas and Jellie and to Jerome!